Last week I got to chat with the creators of the Kaiju Assault Card Game which will be featured and sold at our convention. 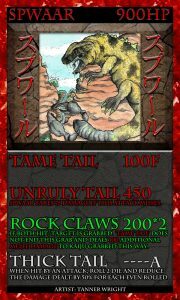 It is fairly unique in the sense that it is a simple, easy to play English language kaiju themed game. As always though, our site was attracted to the game because it was started up by fans, and if it is one thing we want to reinforce – we are for the fans by the fans. So without further interruption, enjoy the interview below! Hi there, to introduce myself, I am Joe McIntee. 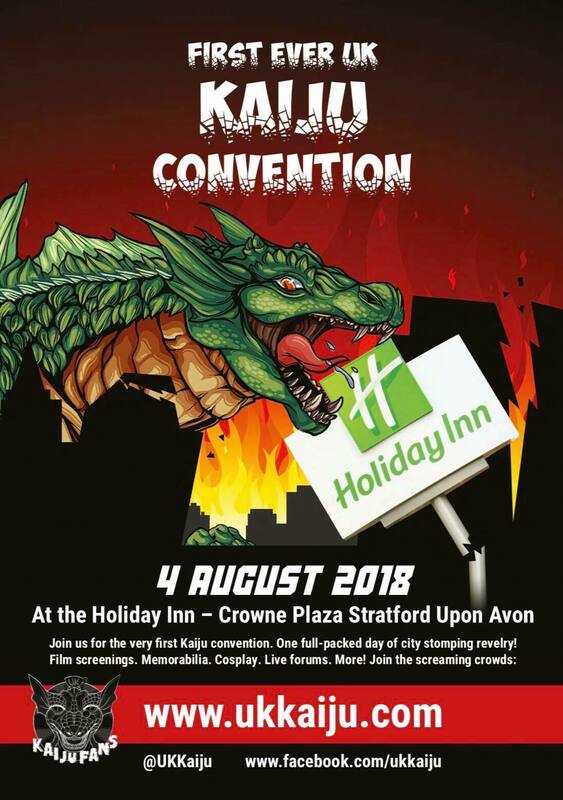 I am the co founder of UK Kaiju Fans and the kaiju fan behind organising UK Kaiju Con. Thanks for agreeing to take some time and let us know a bit more about Kaiju Assault and its creators. So can you please introduce yourselves? Hello sir, I’m Brandon Phillips. So a card game eh? I viewed on your site that this was really just something you created amongst yourselves. You never really thought of it as something that would take off in the fandom. How did it start originally? BP: Well, that means we have to remind the clock to around 2003 or so. Godzilla: Destroy all Monsters Melee was a couple of month out from release, if I recall. I had gone to my buddy Walters house to stay the night. He showed me a project that he was working on. He was/is a huge Transformer’s fan, and he was trying to come up with a card game for Transformers. Thinking back on it, I only really recall small aspects of that game. It was coin based for hit and miss, and you had two modes for each card. One was robot mode, you had one set of attacks, the other was disguise mode, which gave you a few others. It was turn based, and I remember it being complicated. Now that could be because he knew all of the rules and was telling me what I could or could not do at the time, but we had lots of fun. I told Walter that I could make a card game that’s more stream lined. He kind of chuckled. So when I went home the next day, I started working on a card game using his coin flip and turn based attacks style, but using creatures that I knew about, like he knew about Transformers. I took it to school Monday and showed it to him. We then played that version of the game for the last two years of he and beyond. So many hours waiting for the all clear from a bomb threat…so many hours. Hell it even made it’s way to New York as a late night time killer. I’d say 6-8 months after graduation is when I told Jack about the game. He was bummed out about it, because he WAS a TCG player…. Jack: I was disappointed that I was not informed of the game sooner, yes. I’ve been a heavy card gamer for years at that point and to think my best friend made one without my input was a shock. Brandon had a simple system that was hand written on index cards and with unexplained rules for certain attacks. The method of drawing a random cards instead of using the later tier system was rather unbalanced at times. Kaiju Assault has changed so much since the early years. Do any of you play any other collectable card games like MTG or Pokemon? Brandon: Jack built me two Magic decks that I played several games with, then I owned/ still own a massive amount of Pokemon cards. I played that for a couple years. Till a buddy thought it would be funny to hide my Holofoil Charizard. It was mentioned to be a joke. He forgot about it, and when he remembered he put it in his cousins binder to it was protected till we saw each other again. About three days later his cousin sold the binder and all that was in it. That’s about the time I stopped collection TCG. Oh and some where in there I bought a starter pack for the Xena card game. Like 97/98? So young. Jack: Oh, heck yes! 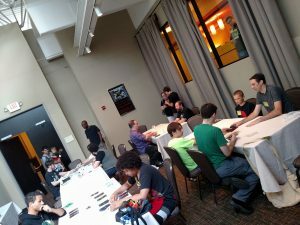 I’ve played MTG, Pokemon, Yugioh, AVP (yes it existed as a card game), Warhammer, and more. Playing those really helped fuel my desire for Kaiju Assault to be better and more cost effective than other games. I spent too much money in MTG but I can’t say too much was wasted on the rest. They got some play value and I still own them even if I don’t play anymore. I have to admit, I love Magic: The Gathering. Been playing for ages. So when did you realise it could be something more? Brandon: hahahah well, this could have more than one answer. With the original monsters in the game, of which we owned none of. We just wanted people to play the game, after our first G-Fest, which was 20 if memory serves. Prior to that, we didn’t think anything of it. Was a hobby. After G-Fest when people saw us playing in the hall, they wanted to play, and they wanted their own decks. We were literally playing with cards made on 3*5 note cards I printed up from Microsoft word. The following year, we printed a couple decks for others to play, if they wanted to. Then people wanted to buy it. So the following year, we worked to attain fan art, and had 40 decks professionally printed. We sold out around the end of day two of that G-Fest. We then set up to print more decks. Jack and I had many conversations about “success”, and they all ended with Toho shutting us down. So we wanted people to play our game, but wanted it to get big enough that Toho would give us a C/D. We had a few times when we’ve been told, that people reported us to Toho. They never came. Then our first license actually happened, with that choice, we had to go all original, and now there is no limit. The horizon is always in front of us. Jack: Brandon is pretty much got this one already covered, haha. I was unable to see the true depth of possibilities until we sold out during that first G-Fest which we had a table. I was also somewhat disappointed that Toho never came to talk to us. That’s probably a good thing mate – although I see where you are coming from! What was it like getting over the hurdle and taking it to the next step? 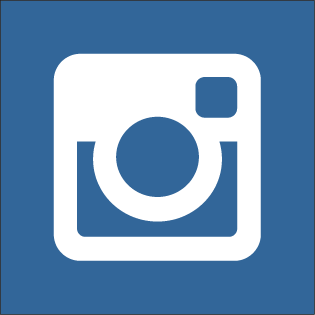 What things did you encounter that you may not have thought about? Brandon: As Alan would say, it was freeing. Alan came in several years ago to help design more famous kaiju for the game, but the obscure not famously known ones. Once we decided to go all original, he went crazy. No longer did he have limitations of “What they do on screen, is what they do on card, up to 4 moves”. So we all started making original kaiju – anything goes. As long as we can word the attack to be clear, anything goes. The challenge then was getting the artist to see what we see, and put that down. I had several cards where I just told the artist: “It’s bipedal, have fun. ” Soooooooo many monsters. Jack: I think the biggest hurdle was deciding to go original and setup 50 monsters for a new starter. I had to fill in the text, put in the art, and basically setup the cards on my PC so we could get them to the printing company. We certainly did not consider how tedious and difficult it would be to sort 42,000 cards into decks. I think, for me, moving to the step of getting all those cards tested, created, and balance was both fun and also stressful due to a deadline. The other challenge after the new starter was deciding which kaiju would NOT be making it into the final 50 list either due to tier spacing or game play potentials. When was your first starter set for players finished and when/were did you sell it the first time? 2013-14, and the first official sale was in 14. Now that’s professionally printed with all the bells and whistles. Jack: Technically we sold a set we printed, cut and laminated ourselves set to a man (Evan) during our 2nd G-Fest. If you don’t count the unprofessional sale Brandon is correct. So what age range is this game really designed for? Jack:The current game is aimed at players 7 and up though we have had younger players following and playing along. The game has multiplication, division, and a few fractions but we kept them all easy (25%-50%-75%) and, no matter what, the numbers are always divisible by 5. BP: if you wanna play, play. But yeah, he’s all into those details. I can tell – when we were all designing Georgie (our mascot) to go into the game, he was considering every angle! How long does a game between two players typically last? What is the best number of players – in your opinion? Jack: a typical game should be expected to last 1 minute per point spent in the game. a 2 player match of 20pt each 30~40 minutes. (4 players each with 20pt could take ~1hr 20min) using the per pt time system means you should be able to finish the game without rushing and make it back from your lunch breaks on time. Add another 5-10 minutes if there is a new player(s) to teach. I enjoy a good 1v1 every now and again but 4 player free for all matches are very fun. BP: A good four-way is always fun! So the monsters you have shown me are awesome – some are obviously famous kaiju, and others are unique to the game or creations of authors and artists. What kinds of monsters, of the ones I just mentioned, make up the game? BP: At this point, as of G-Fest 25, it’s either ours or licensed. The starter is 100% ours. We had a few expansions and classic monsters from years past that can be attained, but their a only a few, and they sadly will not be printed again. It’s a good thing you sent some our way then! Jack: we have all sorts of monsters, from a giant parakeet to towering henshin heros! One of the tier one kaiju is known as “El Queso Grande” for gosh sakes, haha! The author sets are licensed with the authors (go check them out!) and all together those sets include a total of 48 monsters. Do you typically find that creators come to you or you go to them when adding monsters to your game? BP: most have come to us. At G-Fest 25 we picked up two more, because of a conversation Alan had with them, he asked if they were interested. Jack; to be honest, I was surprised when authors began to ask us about putting their kaiju into our game. It felt awesome to be approached by others who had such a love for kaiju that they had created their own worlds. That said, if they had not come to us we probably would have approached them someday. What are all of your favourite kaiju in the game and why? BP: Man soooooooo many. I’d say TENPEN! His design is crazy, art by Angel Fernandez. I also like Tapikuro, he’s the pug of the kaiju world! Jack: Spwaaaarrr!!! He doesn’t just have a scorpion tail… he’s got a “Scorpion” tail! (Also comes with built in stinger tongue.) Deemo was one of the kaiju I created. I really like kaiju that grow or build up to huge threats and Deemo can get scary if he has a few rounds to get going. I also like Tenpen for the same reason as Brandon and Satsujin and Karasu, the crow kaiju. Their names are a play with words satsujin meaning murder and karasu as crow…. a flock is known as a ‘murder of crows’. Ok, now that you have told me that – what are your favourite kaiju in general? nd everyone’s fav. That’s like saying that the Green Ranger Tommy is your fav Power Ranger. Well Duh. I’d go with Megaguirus, one of the most awesome cards we originally designed, and even after we trimmed her, was still awesome. It’s also one of my fav Godzilla movies. Her design, and the colours used on the Japanese art poster…was instantly sold. Jack: Anguirus and Rodan are big for me. While I could never fight well with Anguirus in the videogames he remained on my fav lists. If you include mechas then Kiryu (hail the original king). If I can jump genres I always liked Eleking’s design but Gomora was a beast! There are honestly way too many to consider so before I get out of line I’ll pull back to Anguirus. What were your first exposures to the kaiju fandom? How did you get the bug? BP: Well that’s all Jack. My mom claims she showed me Godzilla ’85 when I was young, but it had to have been really, really young, because the first one I remember was the one Jack talked about pretty heavily: Godzilla Vs Mechagodzilla ’74. Blew my mind as a kid, mind you, this is like 5/6 yrs old, like most kaiju fans I watched that and went crazy. My mom then recorded all of the monster movies that would air during TNT’s Monster Vision and Godzilla marathon. I had a good chunk of the Showas films over the course of one weekend. Yeah, without Jack, we wouldn’t be having this conversation. Jack:I am not sure if I saw godzilla vs Mechagodzilla or Godzilla vs Megalon first. I’ve got a huge idea it was Mechagodzilla cause I would have been telling Brandon about Jet Jaguar, Gigan and Megalon first if it were the other way around. Mom let me select it from the local, get ready for a legend kiddos….BlockBuster Video Rentals and I later had us renting each one over weeks till I saw all they had. Where do you Kaiju Assault if headed in the future? BP: we can fantasise all day, but tackling the here and the now will be the only way to get there. So, to the horizon, always forward, and to hire people to court our decks out…cause last time took 13 hrs and we still didn’t finish. Jack: Brandon and I always make the comment “if someone came and told me 5 years ago this would happen I’d have called them a liar”. More recently I said “At this rate, in 5 years Toho will be contacting us and asking why we are not using their monsters in the game! 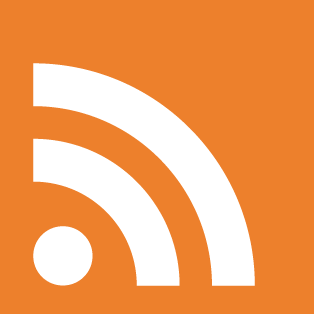 ” I said it in jest, but with our passion – who knows what the future might bring?! Exactly. It’s passion and hard graft that gets an idea off the ground. Our con came about in the same way! Thanks for letting us ask a few questions! BP: any time, was a pleasure!! 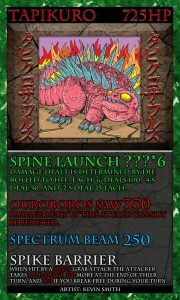 You can check out Kaiju Assault main website by clicking on the page banners or by clicking here. 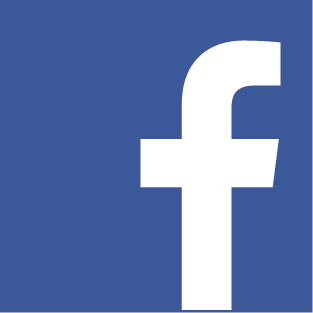 Alternatively, if you are a Facebook fan – the Facebook page can be seen by clicking here. 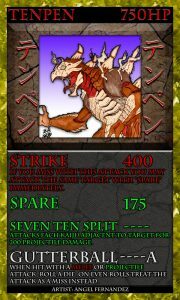 Kaiju Assault will be played and sold at our convention in Stratford-Upon-Avon. Also, be sure to pick up the exclusive Georgie card which will be sold separately – with all proceeds from his card going to our chosen charity Action for Children. Until next time Kaiju Fans! Joe out. I love prehistoric animals, monster movies, science fiction books and music from the 60's-80's. I am about as typecast kaiju fan as you can get!